(UPDATE 11/21/16) Thinking of attending Thursday's NFC East showdown between the Dallas Cowboys and Washington Redskins? Expect to pay up if going through the secondary market. With three Thanksgiving games on the docket this Thursday, none will be more expensive than the divisional meeting at AT&T Stadium. In fact, it will be the second most expensive Thanksgiving game since 2011, according to TicketIQ. As it stands now, the average resale price for Cowboys vs. Redskins tickets is $509. That marks a 5 percent jump from last Thursday's average of $485. The cheapest tickets are listed from $79 each. Credit that price boost to both teams' Week 11 wins, as the Cowboys improved to a league-best 9-1 while the Redskins sit at 6-3 on the season. Thursday's game in Arlington is trumped only by a 2014 Thanksgiving meeting between the San Francisco 49ers and Seattle Seahawks at Candlestick Park, which owned a $618 average. The action on Thursday starts with a 12:30 p.m. matchup between the Detroit Lions and Minnesota Vikings. That will be the second most expensive Thanksgiving game this season, with Lions vs. Vikings tickets averaging $232 and the get-in price listed from $114. Thursday's prime-time game will showcase the Indianapolis Colts and Pittsburgh Steelers at Lucas Oil Stadium, which currently owns a resale market average of $154 and a $79 get-in price. For the best prices on all NFL Thanksgiving games, download the TicketIQ app. Our app offers the most transparent buying experience in the marketplace and helps fans save up to 10 percent extra on all IQ Certified listings. Download the TicketIQ app and start saving today! (UPDATE 11/17/16) Thanksgiving is just around the corner, and three NFL games are on tap across the league next Thursday. None will be more expensive to attend than an NFC East showdown between the Dallas Cowboys and Washington Redskins at AT&T Stadium. With the Cowboys surging amidst an eight-game win streak heading into Week 11, their Thanksgiving matchup with the Redskins serves as the second priciest Thanksgiving game since of the last six seasons. On TicketIQ, the average resale price for Cowboys vs. Redskins tickets is now $485. 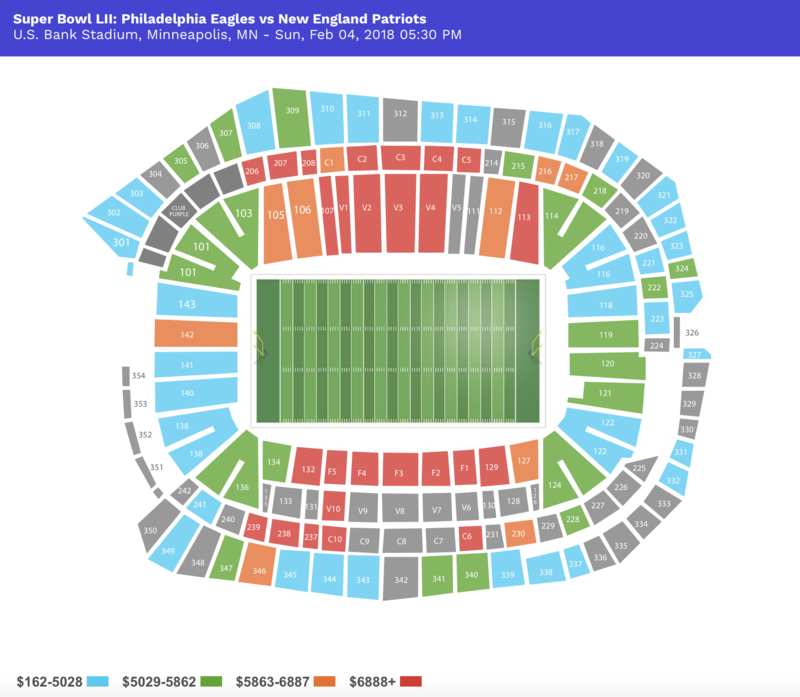 That falls short of rivaling a 2014 game between the San Francisco 49ers and Seattle Seahawks, which posted an average secondary market price of $618. If looking just to get past the gates at AT&T Stadium next week the cheapest available tickets are currently listed from $77 each. With the Cowboys and Redskins squaring off in the mid-day matchup, they will be preceded by a matchup between the Detroit Lions and Minnesota Vikings and followed by an Indianapolis Colts-Pittsburgh Steelers meeting. Neither of those games will come close to posting similar demand to that of the Cowboys and Redskins. As it stands now Lions vs. Vikings tickets on TicketIQ average $225 and the get-in price is $112. The Colts and Steelers currently own a secondary market average of $172 and the cheapest ticket starts from $92. (ORIGINALLY PUBLISHED 11/9/16) The leaves are falling and the days are getting shorter, which means Thanksgiving is right around the corner. And while mom prepares to overtake the kitchen and rev up the oven, football fans across the country will be tuning in to the annual NFL Thanksgiving Day games. As is the case each year, the Detroit Lions and Dallas Cowboys set to host two of the three games. The Lions will take on the Philadelphia Eagles in the matinee game before the Cowboys welcome Cam Newton and the Carolina Panthers at 4:30 p.m. Slipping into primetime slot will be a matchup between the Green Bay Packers and Chicago Bears at Lambeau Field.